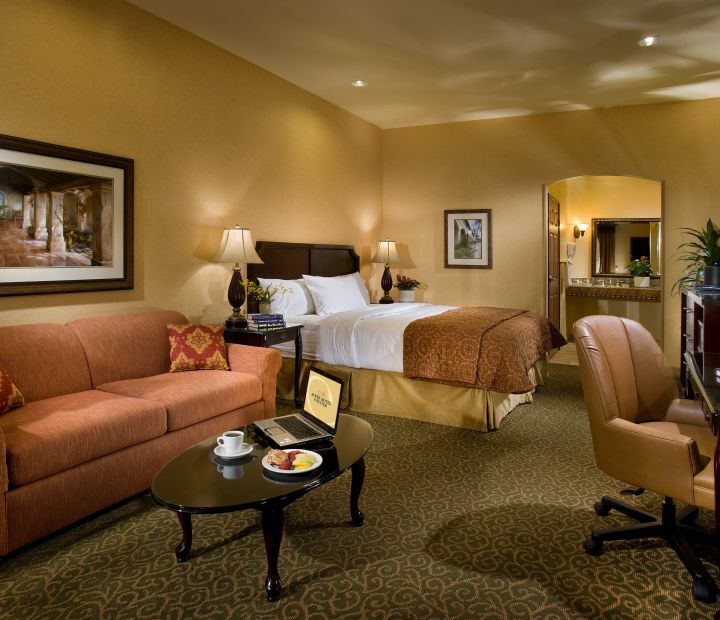 Explore our rooms at Ayres Hotel Redlands. 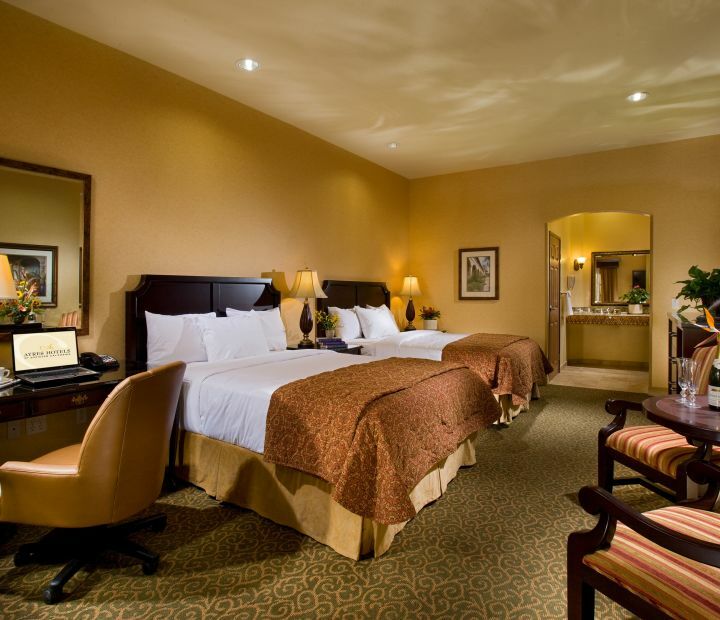 Ayres Hotel Redlands features 107 well-appointed guestrooms where you feel at home. Relax in Mediterranean-style retreats that feature modern comforts for business and leisure - from free WiFi to writing desks and the iHome. Sleep peacefully on Ayres Celestial Sleeper beds, and enjoy lifestyle luxuries like the flat screen TV, refrigerator, microwave and MP3 player. Pets are welcome to join your family getaway in our select pet-friendly rooms (one-time non-refundable fee applies). Host intimate gatherings, corporate events, and board meetings in 950 square feet of flexible meeting space, perfect for accommodating up to 60 guests. 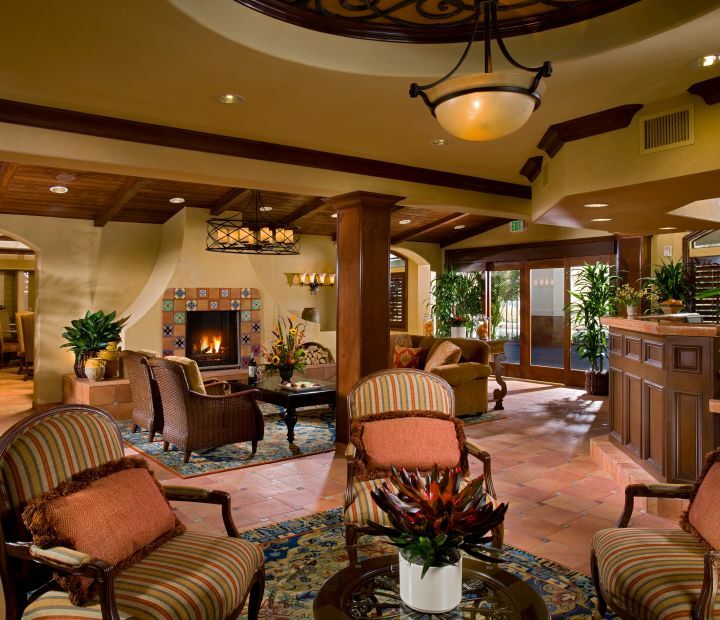 Business and social events run smoothly with high-tech audio-visual support and professional event catering featuring customizable menus with creative California cuisine and wines. 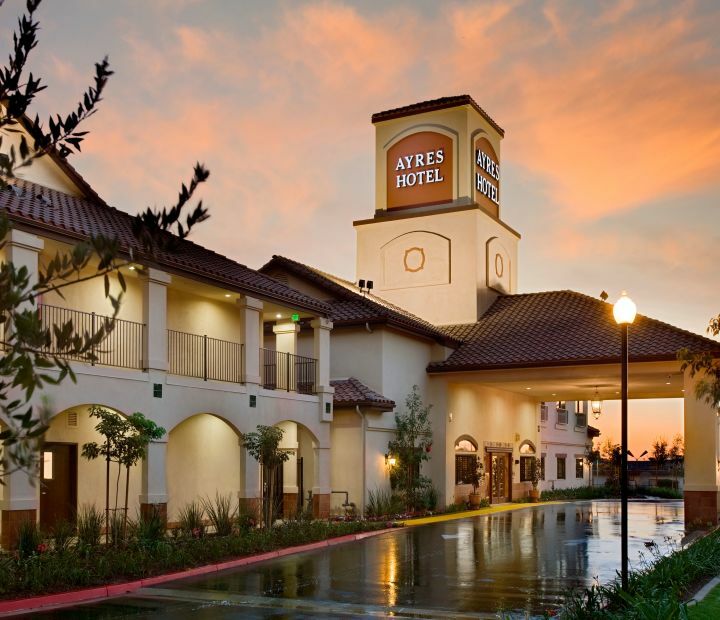 Get inspired and celebrate in the historic heart of California's Inland Empire. If you envision it, we can make it happen. 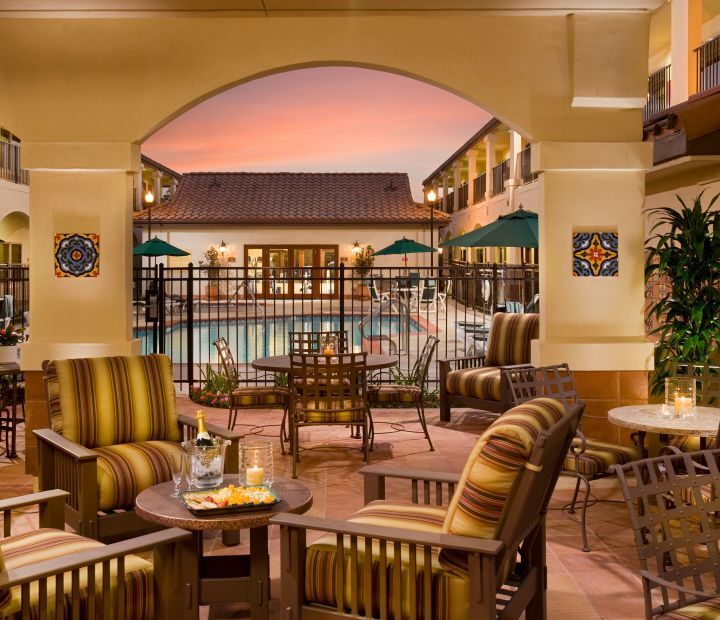 Explore the Redlands, California area! 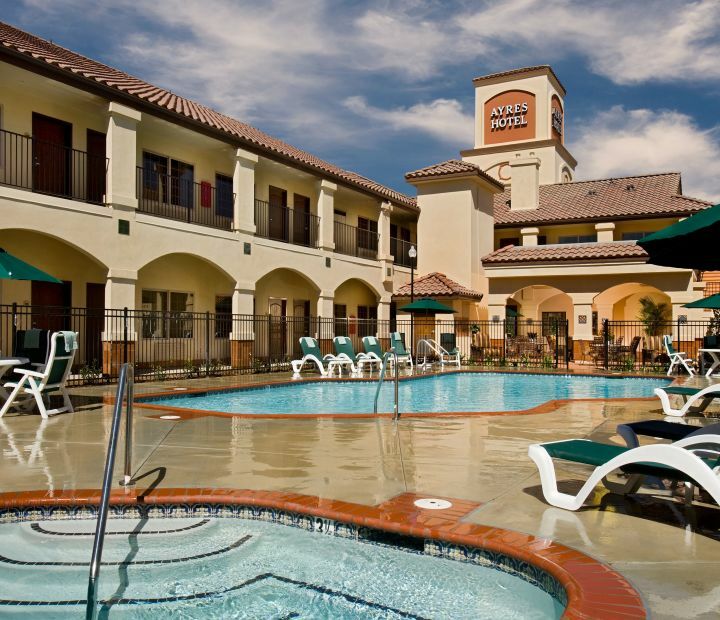 When visiting Redlands, this is the hotel we like to stay at. It is quiet, comfortable and they have a wonderful breakfast which is included. Very nice selection with an omelette bar and great coffee. Beautiful place, genuinely friendly staff, delicious breakfast (especially the huge made to order omelets!) comfortable surroundings, fair pricing. I could tell the place was well managed and cared for. I’ll definitely return! We were late arriving... when I called at 4pm to tell them we wouldn't make it to check in until midnight, I also realized I had forgotten to include our "allergy to down feathers" in our reservation. When I explained this over the phone, they said that housekeeping had already left for the day, but they would take care of it. When we arrived at midnight, exhausted and with 2 tired kids in tow, we found a very sweet note on our pillows. The front desk staff had found different linens, changed it all out for us, and left a note somewhat apologizing that it wasn't up to the usual neatly tucked standards of their housekeeping staff.